I have just ordered a walking jacket for Jackson!! 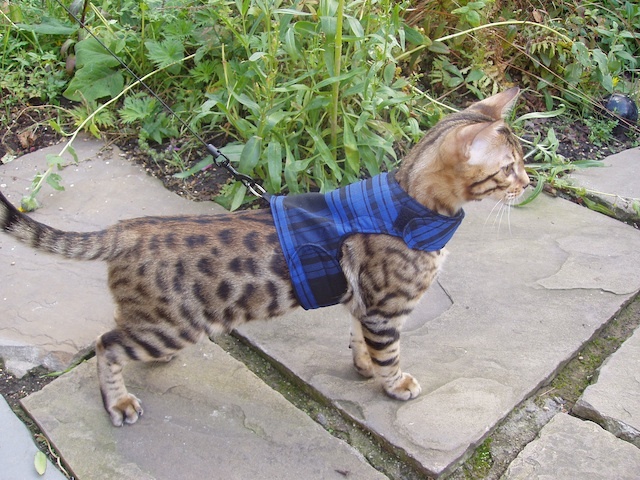 The person who makes them has a Bengal cat and the photo is of her cat, Otis, modelling a jacket! I have ordered one in leopard print velour – I can see Jackson having a whole wardrobe of these in different colors and fabrics! Some for winter, spring, summer and fall!! Now to last night. It all went a bit pear shaped. John and Slip came home from shooting at 5 pm ad John said Steve and Lyn were picking us up at 6.30pm. Hah! They arrived at 6 and so I was hardly ready and in the ensuing panic I forgot my iPhone! When we arrived, we saw that not only was there a table laid for us but also another one laid for a 60th birthday party. There was no room to swing a cat. We had a drink or two ( John watching me like a hawk to see how much I was drinking!) and then we sat down. There were 17 of us and only 14 chairs around the table! Chairs had to be brought down from upstairs were Paul lives. The first course was French Onion soup. It was horrid – like washing up liquid. Then came the roast beef. The plates were swimming with blood – I put the beef straight in my handbag for Slip. The cabbage was so overcooked it was almost white. I did not eat anything. Then the cheeseboard which was the best thing. At least the cheese was – but not the stale, soggy biscuits. Whilst we were eating ( or in my case, not eating) water suddenly gushed through the ceiling! The man that Paul had shaved the other night was upstairs having a bath!! Paul got an ice bucket and set it on the floor to catch the water! By this time, the 60th birthday party people had arrived! The noise was deafening – you could not speak to anyone and be heard. I think we left about 9.0 – I did not drink too much ( no chance of that with old hawk eye watching me!) and so felt fine this morning! I have put the new Rowan Casual Classics in my store and also some discontinued Kid Classic. Tomorrow is a big unpacking day – all the new Rowan.. Back then! It is a quarter to three here. We woke up to more snow this morning but it has nearly all gone now as it is sunny but very cold. John and Slip are shooting and are expected back at 4.0pm and then we are going to the pub for the shoot dinner at 6.30pm. I have decided to wear a cobalt blue scoop neck top which has pleats that fall from the neck and black trousers that have a satin stripe down the outside of each leg. I am wondering who will be there….let me see…Steve and Lyn ( Saffy and Ruby’s owners) David who is an importer ( and a VERY heavy drinker) and his wife who is also Lyn, Andy the gas fitter and his wife Kay, Chris who is a builder and his wife Nicki, Barry who is an accountant and his wife ( name unknown) Nick the butcher and his wife ( name unknown), Nigel who is a builder and his wife ( name unknown), Julian who is nothing to do with the shoot and maybe some more!! It is going to be a tight squeeze in the pub. I have had to promise to be on my best behaviour and not make any wise cracks about shooting! I must be careful how much I drink as I tend to get carried away if I have too much! I will take my iPhone and take photos! I have put the new Rowan Revive in my store along with the Rowan Purelife Recycled Collection and Rowan Summer Crochet. I like some of the crochet designs but, since I cannot crochet, I shall not be making them! Now I am going to do my nails and wash my hair. I will be back tomorrow with a full report on the dinner! Chaos in the pub last night. A customer remarked that he wanted to shave his beard off and so Paul said he would do it for him then and there! Paul whisked out a tablecloth which he shrouded the man in and then produced …………a carving knife and cut off the beard with it!! In the photo Paul is the one standing over the man in the tablecloth! He cut the man’s face several times during the process – I could not bear to watch! Paul’s hand was not very steady due to the amount of whiskey he had drunk! John took the photo with his phone – sorry it is not very clear, he is not very good with phones! I will take my iPhone to the dinner in the pub tomorrow night and take lots of photos!! I have put some Herb, Tangerine and Clover Felted Tweed in my shop at a reduced price – and I am expecting more Kid Classic in several shades on Monday / Tuesday. Also I have updated the Debbie Bliss Cashmerino so that all current shades are showing – there are six new ones but I have only received five of them so far. All the new Rowan will come on Monday and I shall start putting it in my shop tomorrow as there is a lot and it takes a long time to do! Going to cook dinner now – fish pie with a white wine sauce and mashed potato topping followed by home made profiteroles! Back tomorrow. Two new pictures of Jackson!! He still looks such a baby – but he has fine whiskers and big paws! I have put the Debbie Bliss Amalfi in my store and also two new shades of Kureyon sock yarn and the last of the Kidsilk Haze Glacier. I still have the new shades of Debbie’s Baby Cashmerino and Rialto 4 Ply to do. Now I must go in the bath and get ready to go out….back tomorrow! I have been watching the presentation of Apple’s latest goodie – the iPad. I was a bit disappointed as really it is only an oversized iPhone without a phone. I can’t see that it will be able to do anything that my laptop cannot do. Also with a 10″ screen it is going to be rather large to carry about. 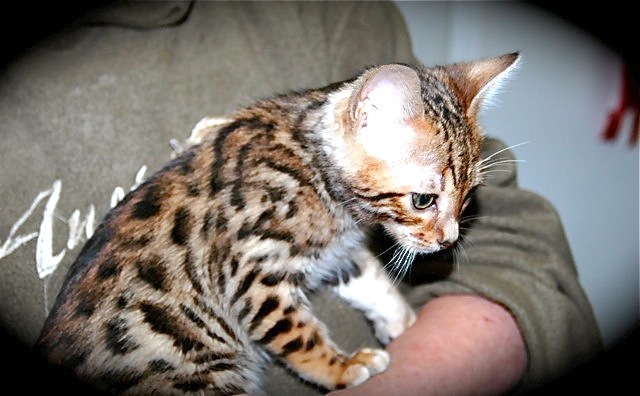 I shall wait until I have seen one in the flesh before deciding if I have to have one! I put the Debbie Bliss Eco Baby yarn in my store along with the Amalfi pattern book. Studio 18 also showed up today! Nice patterns all using Felted Tweed. 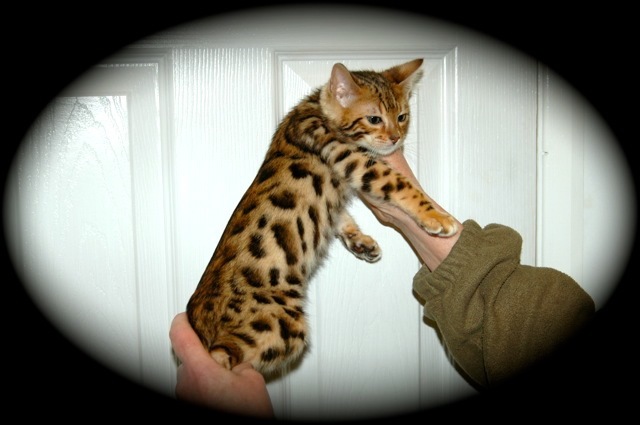 Jackson’s breeder emailed me today and said she will definitely send some photos tomorrow – she said he is doing well!! I can’t wait to see the photos. He will be having a blog from day 1. Slip must start her blog again too – she has become very lazy! I am going to start designing Jackson’s blog now. Back tomorrow! I finished and submitted our tax returns today and so that is a weight off my mind. I did it all on line and it worked it all out for me as I went along – much easier than doing a paper return. John is making noises about going salmon fishing in March. Kevin is going and has told John there is a vacant rod. I don’t mind if he does go – I shall have Jackson by then!! I still have to buy a bed for him and a climbing post/scratching post. Oh, I think a new carrier too as ours is very large. We bought it to hold 3 Siamese cats and it is awkward in the car. I shall have a look on the internet now!! Back tomorrow. The Addi rep came and showed me all the needles and also some yarns including Rooster and Fybrespates. I was restrained and did not place any orders!! I ordered some more discontinued Rowan today and learned that Scottish Tweed 4 ply and DK are being phased out – Rowan are not ordering anymore of the shades when they run out of stock. This leads me to think they will introduce a new tweed range for next Fall – maybe in an “Eco Friendly” material. A horrid thing happened today. Our white pigeons were feeding on the lawn and a sparrow hawk swooped down and pinned one to the ground and plucked its breast and starting eating it whilst it was still alive and flapping. I know this is nature but it was not very nice to watch. Now I am going to have my bath and a drink – long day today!